With a degree in history and a Master of Wine (1998), many years working in the commercial wine world and writing about modern wine regions, my main interests rest with a combination of history and wine. I love the cultural history behind the styles of wine we drink today, the evolution of traditions. Observing the evolution of rosé has been fascinating. As it has become increasingly important, and grown in popularity, I have researched, written and lectured extensively on the subject (see here for resumé of my work). In January 2018 published ‘Rosé: Understanding the Pink Wine Revolution’ with the Classic Wine Library. I have been in the wine trade since 1986, starting with the wines of south eastern France. Provençal wine was quite different at the time, with many vineyards making old-fashioned, ‘rustic’ wines. I have enjoyed seeing at first hand how they have developed over the past 30 years. I moved to south-eastern France in 2002, and now, based between Provence and Liguria, continue to explore and work in Provence. I also started to work in Hungary over twenty years ago and have continued to work extensively with wines from Hungary and Central Europe. I am the president of the Jury for the International Rosé Championship and I have judged at Decanter’s annual World Wine Awards, and at many other competitions, including Hungary’s VinAgora, the Mondial de Rosé, the VinoBalkanika , the Thessaloniki Wine and Spirits Competition, the Guide de Vins de Provence and for magazine panel tastings for Decanter and Drinks Business. In June 2019 I will be presenting the first Elizabeth Gabay prize for best rosé in the Danube Wine Challenge. I edited and updated the Provence section of Jancis Robinson’s World Atlas of Wine 2013 and 2018 editions and am the contributor for southern France in the Hugh Johnson Pocket Guide from 2019. 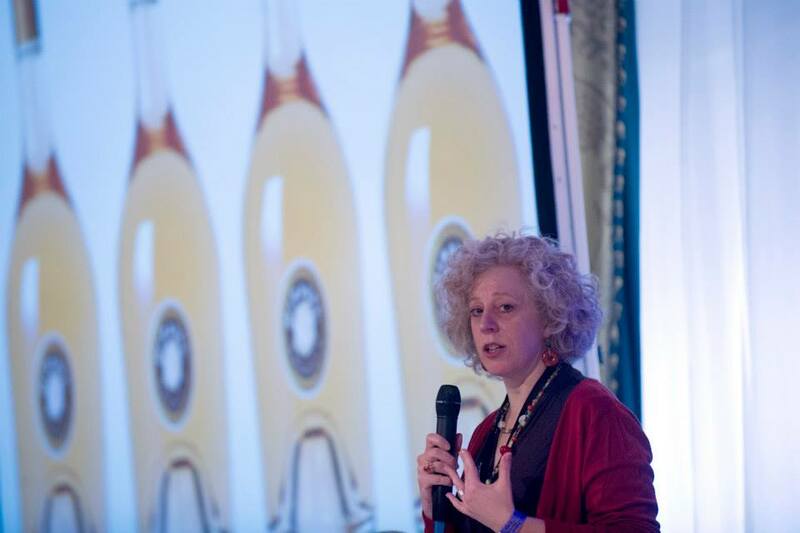 I have given numerous masterclasses on rosé, (Recontres Inernationales de Rosé, Marseille, International Rosé Conference, Valladolid) on Provence, Languedoc, Hungary and Marketing with the Institute of Masters of Wine, VinCE, Prowein, RoVinHuD (Romania), Franc & Franc conference in Villány, Vinisud, Rivini, Vinitaly, and the International Wine Tourism Conference, amongst others. Other masterclasses have ranged from the serious and academic to presenting wine in a more entertaining way: James Bond and Wine, Light in Art and Wine, High Altitude Wines (tasting at 1000m). I am the Provence specialist for the Wine Scholar Guild (formerly the French Wine Society), guiding tours around the region and giving regular webinars on the wines of Provence and rosé. I write articles on wine topics including Provence, Hungary and northern Italy, for magazines, including Decanter, Imbibe, Drinks Business, Meininger, Harpers, VinCE and The Buyer and websites in Britain, Europe and America. I have written and researched the history of the wines in the Alpes Maritimes and Bellet and have presented a paper on this subject for an historical wine conference in Italy. My other main interest is the history of the drink punch, for which I have created a separate website punchstory.com. I am researching and writing (hopefully for a book on this), have presented papers at conferences and given presentations at museums. After a career in technology and marketing, David joined Elizabeth to complement her wine knowledge and skills with his business experience. My interest is marketing and the business of wine. Following a first degree in Economics, I obtained an MBA (Master in Business Administration) from Harvard Business School in 1982. After this I worked in a variety of sales, marketing and IT positions. I enjoy analysing the strengths and weaknesses of businesses to make them more profitable and easier to run, and simplifying processes so that they run more efficiently. I write about the business of wine, marketing and branding. Am also helping research Elizabeth’s book on rosé wine. Holidays abroad as a child gave me an interest in other countries and a love of travel. This led to a passion for foreign languages. Aside from English (I was brought up in London), I speak French, German and Hungarian, plus a smattering of other languages. Living in France, French is especially useful. Ms. Gabay, I listened to your lecture with Wine Scholar Guild on non-AOCs and was interested in the historical anecdote of the monks that charged to cross a gorge. I can find no other references to that. Would you mind pointing me to a reference for that? Thanks so much.